It is fall and that is usually one of my favorite times of the year but this fall seems very different from most falls. 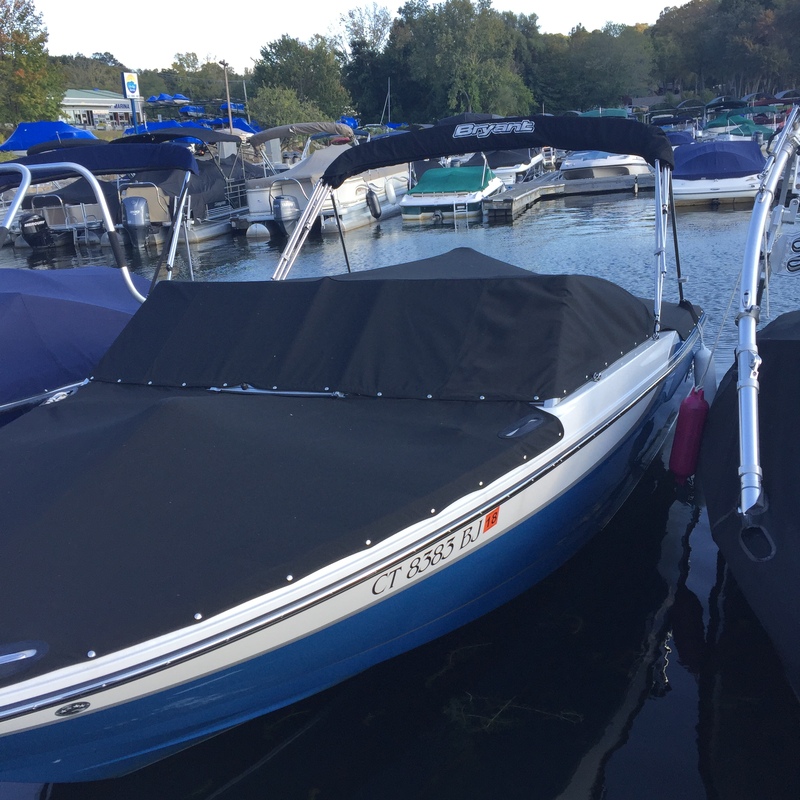 This week Meg and I went up to Candlewood Lake boat and cleaned out our boat in preparation for taking it out for the winter. We got all of the cleanings on the inside done and we emptied it of most of the stuff that lives on the boat while it is in the water (PFD’s, safety equipment, maps, registration, extra towels, shoes, dog toys etc), but I can just as easily bring it back to go out again. I am hoping to get out in it again one last time this year. Our goal was to get one last trip on the lake when all the leaves have turned and that may happen or we will get that outing with lots of green leaves, then take the boat out and all the leaves will change! This weekend we are off on a long weekend trip to Maine so if we make it out it will be a late afternoon next week or next weekend because the following Monday the boat comes out for the season. Our construction projects on our house have finally come to an end – or at least until we think of more that has to be done to the house. The final projects included re-finishing the dining room floor, some misc. 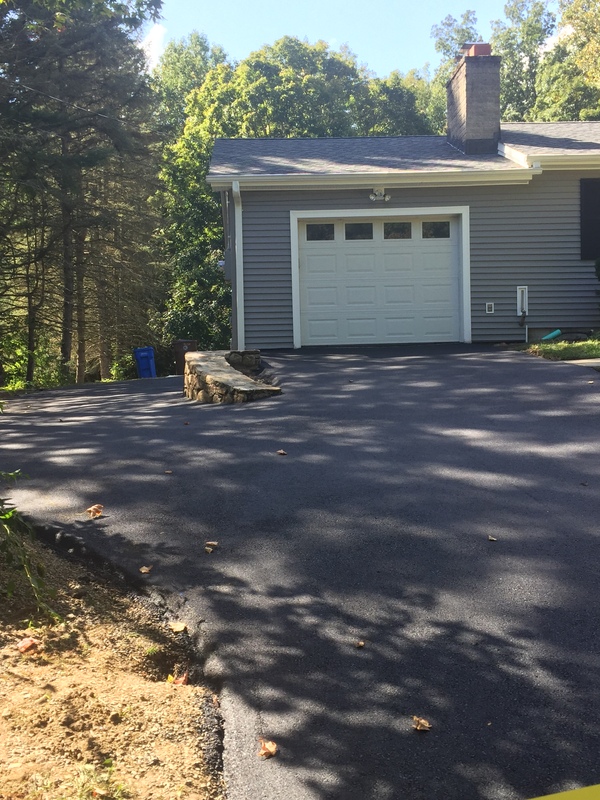 electrical work and re-paving the driveway! 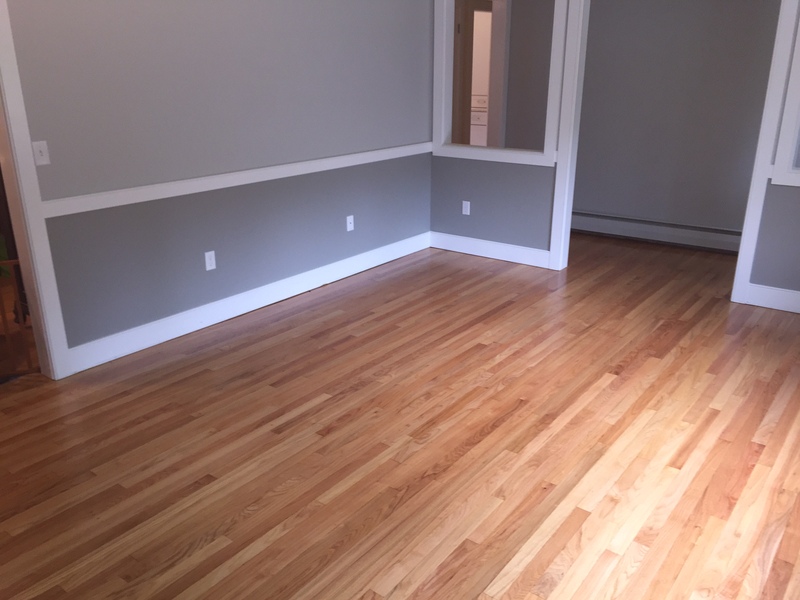 The dining room floor was re-finished to match the kitchen and the living room so that all the rooms match and you can’t tell when they were finished. They sanded it and then put on 3 coats of polyurethane. It came out very nice and once it was done we put the final floor moldings in place and we built some white bookshelves (Ikea) to go next to the fireplace and give the appearance of built-ins. Now we just need to make a rug decision and I have to re-finish two plant stands that are pretty substantial and an old kitchen table of my parents that my dad built that we will use as a dining table. The electricians came and connected the new chandelier as well as hooking up the two new outdoor sconces by the front door. The electricians also fixed a problem with the outdoor outlets and driveway light post that happened when had the vinyl siding installed. Re-doing the house has been a very long process but it has been very rewarding. Since the middle of June 2016, we have constantly had some work going on or we were in the planning stages and getting permits to do the work. Our goal was to make our home our ‘dream home,’ and while we have much improved our home it isn’t to the level of the Merritt Island Dream Home, but it is vastly improved. We haven’t really done anything to the bedrooms and we hope to tackle them at some point but we can really only replace the trim and paint, so I guess Meg and I will tackle those projects. 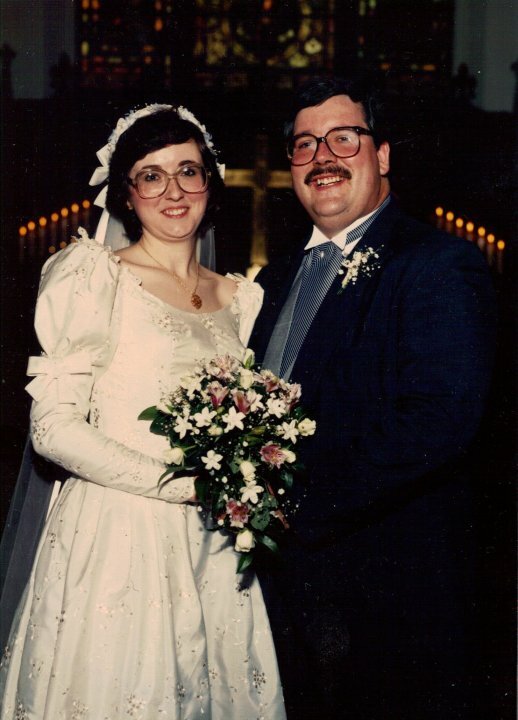 This weekend Meg and I are commemorating our 32nd Wedding Anniversary. We were married in West Virginia on Columbus Day Weekend and while it was on October 12th, Meg does have this weekend for a long weekend so we are heading to Maine for the weekend. My Grandfather and his second wife, Helen, lived in Maine and when I was young and we visited them every year 2-3 times each year, so I have been to Maine many times. Meg and I did a couple of trips to Maine when we were first Married but haven’t been back together since around 1987. I did go with my daughters on a Church Mission Trip to Calais, Maine in July 2008. We are going to stop first at Kate & Kenny’s in Franklin, MA and leave Griffin with them and then on Saturday morning, we are off on our weekend adventure. No real plans except for some shopping at LLBean but we are hoping to mosey up the coast. I am sure the change will be incredible since our last visit!